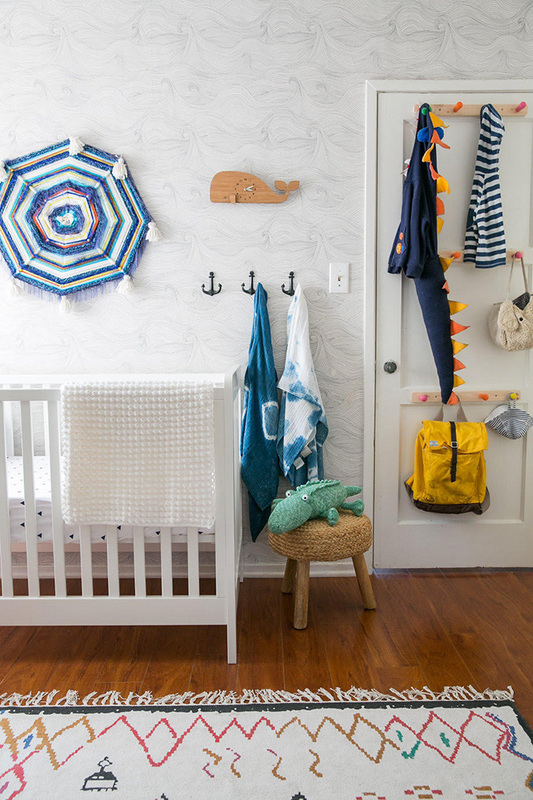 We know we said this list was in no particular order, but of course the top spot goes to the nautical-themed nursery our editor-in-chief designed for little Liam, filled with finds from The Little Market. We are so in love with this ultra feminine, colorful nursery that Emily Henderson designed for our friend and Lulu & Georgia founder, Sara, when she was expecting her first baby. 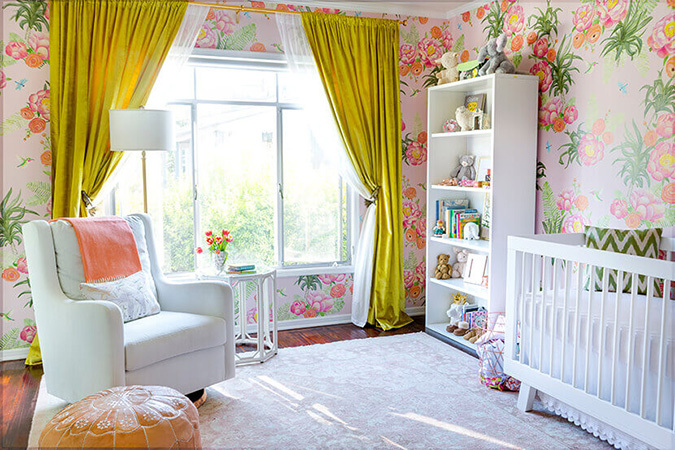 The custom wallpaper named for Sara’s daughter, Vivian Mae, is the real showstopper. We’re all about the unexpected details (like the multiple wall hangings above the crib) in the space that blogger and LC.com contributor Lauren Gores designed for her little guy. 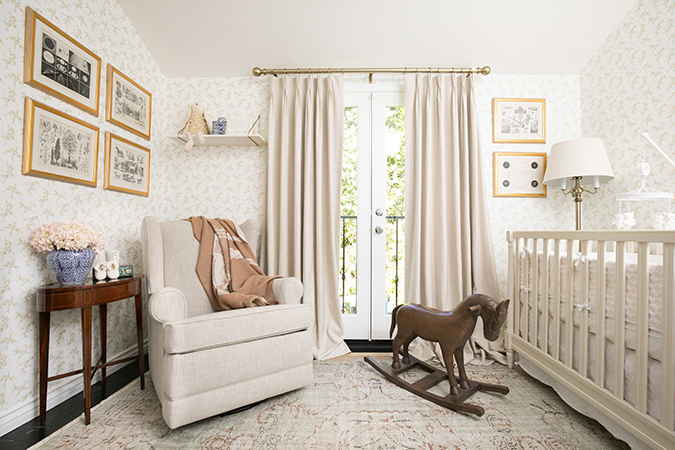 Another old favorite that one of our editors, Ilana, designed for her little girl, this “safari chic” nursery featured a playful animal wallpaper, lots of DIY details, and of course a collection of baskets from The Little Market. 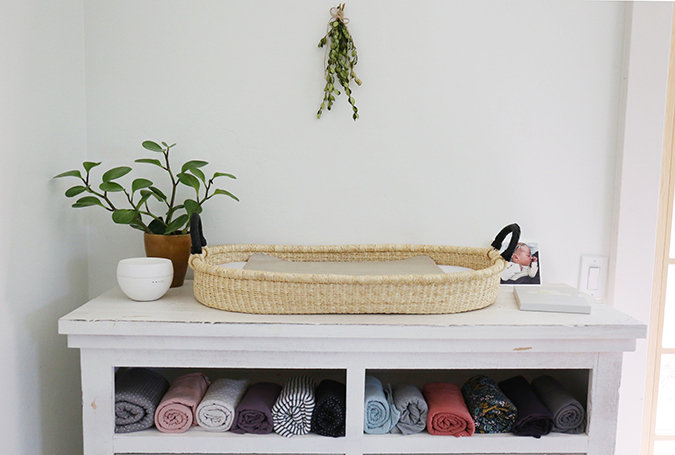 Since so many parents share a room with their little one for at least the first few months, we love how Solly Baby founder Elle Rowley carved out the perfect corner of her own bedroom for baby Hazel. We’re swooning over the serene, neutral space that 100 Layer Cake cofounder Kristina Meltzer designed for her little girl, Louella Moon. How pretty is all the natural wood, accented with a couple of rainbow décor pieces? Whimsical, feminine, and full of light, our favorite detail in this baby girl’s nursery is the “You Can Sit With Us” print, which perfectly captures the spirit of mama Molly Thompson’s anti-bullying non-profit organization, Kind Campaign. 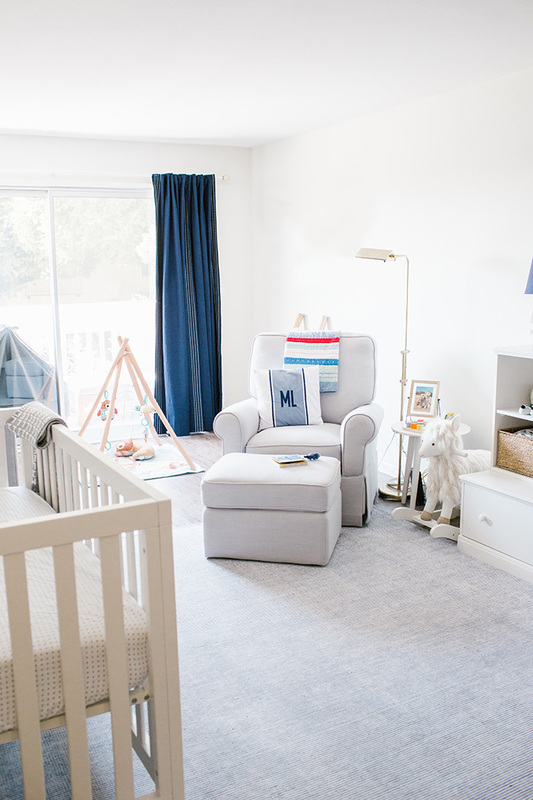 We partnered with Pottery Barn Kids to bring this nursery to life for our friend and new mama Sara. The before-and-after photos show a total transformation from home office to a preppy and playful room for baby Miles. It’s hard not to fall in love with this English countryside-inspired space for Louise Roe’s baby girl. Designed in partnership with Decorist, the room is elegant and filled with traditional prints and antique furniture. Younger siblings often get the short end of the stick, but not in this case. 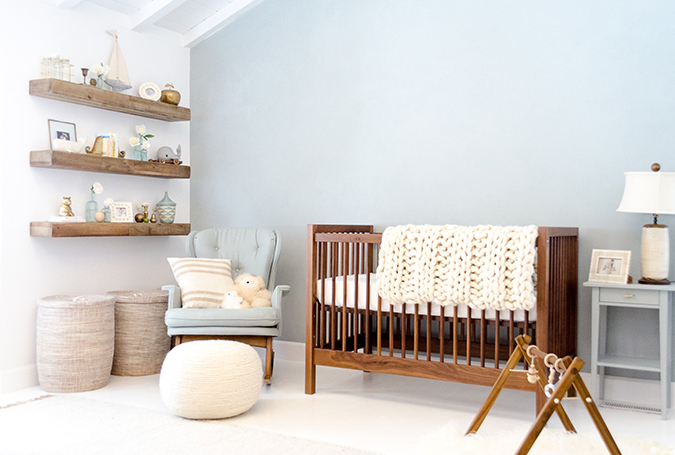 Jillian Clark of 100 Layer Cake did such a beautiful job of transforming her older son’s room into a sweet, nautical-inspired space for both her boys to share when baby Dax was born. Which one of these sweet spaces is your personal favorite?